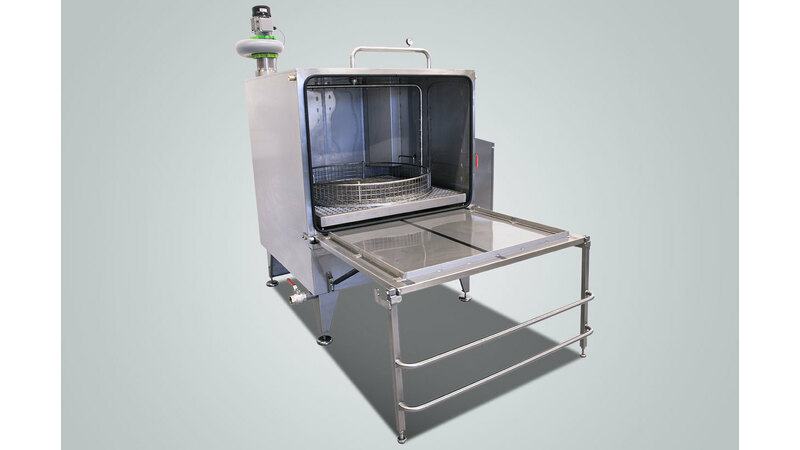 Spraywasher constructed in stainless steel with pneumatic front door for easy operation. 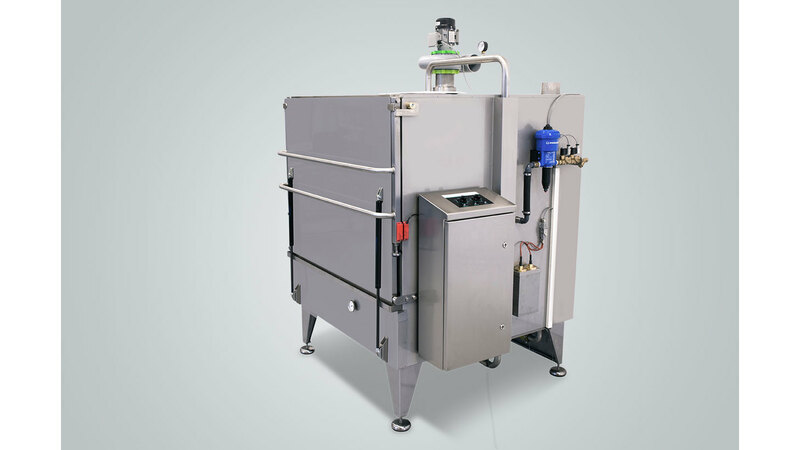 The machine is manufactured in a strong construction and can handle components up to 2000 kg. 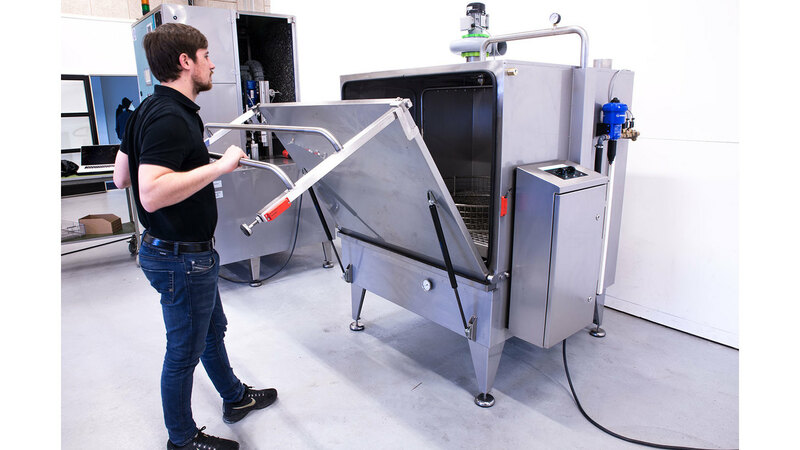 This washing system is characterized by quickly and effectively cleaning simple components related to maintenance tasks where purity requirements are not so high that the new production. The machine is available with a wide range of extra equipment.